Helen Marie Fosse, 92, Aneta, ND passed away Friday, August 24, 2018 at Sanford Medical Center, Mayville, ND. Helen Marie Kueber, daughter of George and Gertrude (Guck) Kueber, was born October 27, 1925 on the family farm north of Aneta. She grew up there, and attended 1-6 grades at Rugh Township Country School. Helen completed her Freshman and Sophomore years by correspondence, and then completed her Junior and Senior years, graduating from Aneta High School. 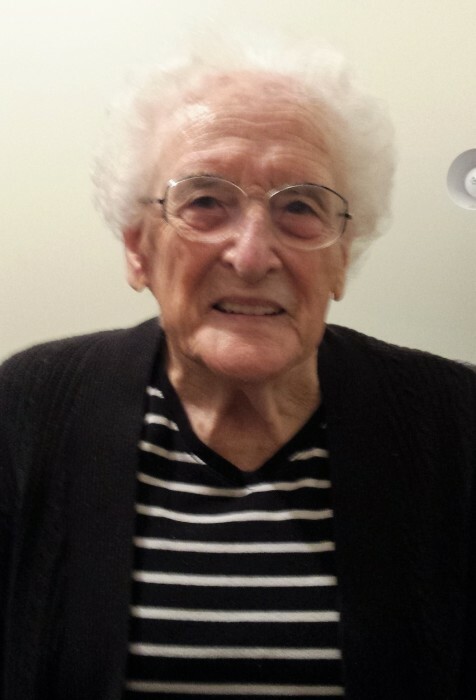 After graduating in 1943, she taught school for a year at Rugh Township. Helen then went to work in Minneapolis Minnesota, at the New Brighton Munition Plant. Helen married Robert Curry of Sharon in 1945.They raised cattle, sheep, and farmed. Throughout their life together, they owned the Sharon Liquor Store 3 years, raised turkeys 9 years, Helen worked at the Sharon Cafe 9 years, and owned the cafe in 1969 and 1970. Robert died October of 1969. In November of 1970, Helen married Vernon Fosse and they farmed west of Sharon until Vernon retired in 1980. Vernon passed away September of 1994. Helen remained on the farm until 5 years ago, when she moved into Aneta, to live with her daughter Jaima. Helen is survived by her 4 daughters; Cathy Dyck, (Sacramento, CA) Margaret Ross, (Strathroy, Ontario), Jaima Curry, (Aneta, ND), and Dotty Curry, (Fargo, ND), 4 grandchildren; Norah Wilhelms, Tania Lariviere (Justin Hodgens), Carrie Ross, Jason Ross; 2 great-grandchildren; Blake Hodgens and Ava Hodgens, and brother, Jack Kueber. She was preceded in death by husband Robert Curry, husband Vernon Fosse, daughter Roberta Curry Cartwright, sisters Florence Larsgaard, Alice Peterson, Leona Bergevin, And Lucille Hochwender. Memorial services will be Thursday, August 30th at 11:00 a.m. with visitation 1 hour prior at the Trinity Lutheran Church, Sharon, ND. Interment will be in Trinity Cemetery, Sharon, ND.